If you would like to share a story about this ancestor, please type as little or as much as you like in this box. : I mistakenly stated that Muggah was Julianne’s maiden name in her husband’s portrait. Her maiden name is not verified known. The Muggah surname is her daughter’s Julia’s married name. 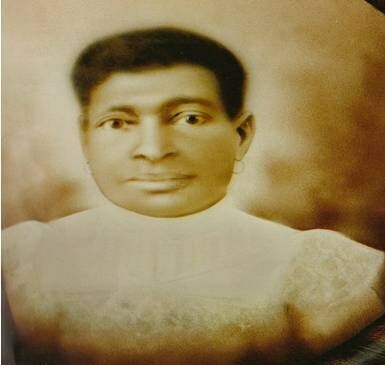 Julianne and her parents Paul and Harriet were enslaved by the brothers Octave and Numa Cornay of the Calumet Plantation. The plantation was in Patterson Louisiana and was a large sugar mill. During the war Julianne went with the Cornays to Lafayette Louisiana, where she birthed one son, by a man that she was not marry to, but had a “shacking” relationship to breed children. After the War of Rebellion Julianne return to Patterson Louisiana and was a laundress. She met and legally married Vilmont Schexnayder 04 Jan 1883 in St. Mary Parish Louisiana. Julianne had at least 15 children with 14 of them fathered by Vilmont Schexnayder.